Details: I have commented on this vantage point at Northumberland Park depot before, but on 23rd July 2011, Ray was lucky. 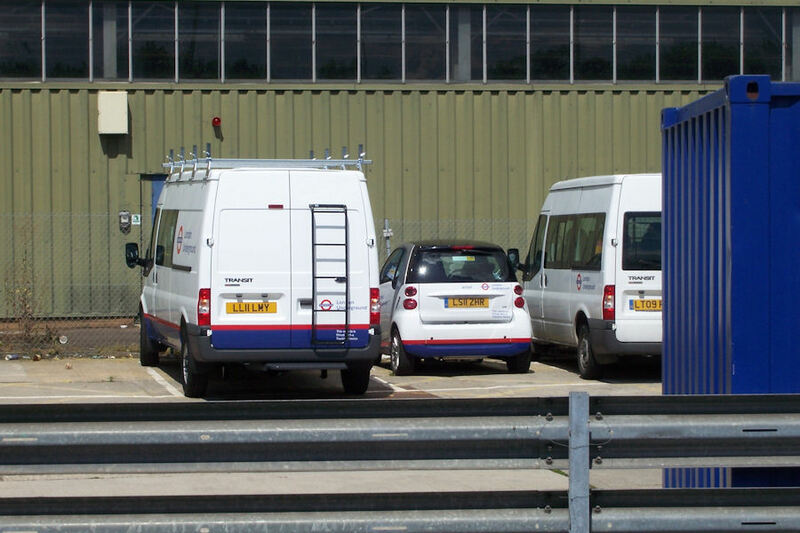 Visible were recently delivered Ford Transit crew van LL11LMY (fleetnumber not yet known) and also Smart car 7067SM. Ford Transit minibus 6779F on the right is one of a pair allocated here that are unusual for being all white.